Into the night, after the long lines have died down and the expo halls have closed their doors, determined nerds are out looking for more exciting ways to celebrate their fandom. It’s An Expo Afterparty at Red Gate Arts Society! Day 1 of Fan Expo Vancouver, join The Runaway Four for a night of upbeat hits from objectively the BEST video games. R4 brings its classic mix of medleys, visuals, costumes and good times to the Red Gate stage! 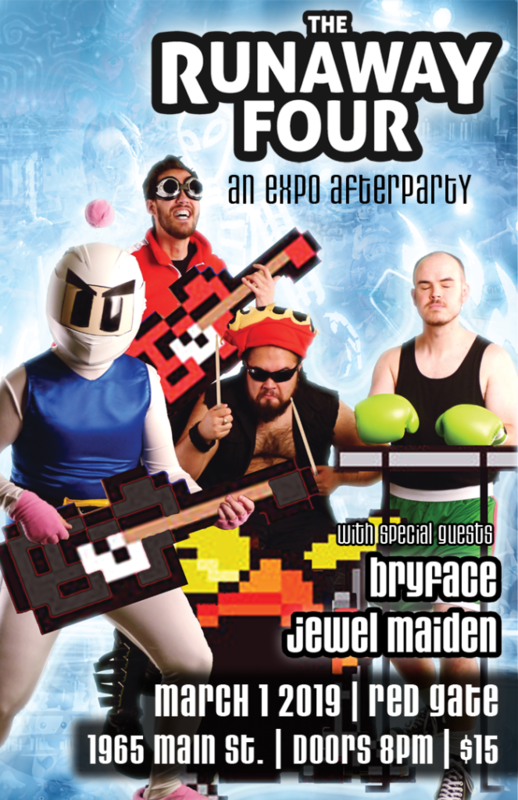 Keeping the lively vibes going through the night will be local chiptune artist bryface and video game DJ Jewel Maiden. This is the perfect time to lay back, enjoy a drink and take in the best of video game music that Vancouver has to offer! ← Tribute Album 64 released!